Yesterday France went to the polls to vote for a new President. 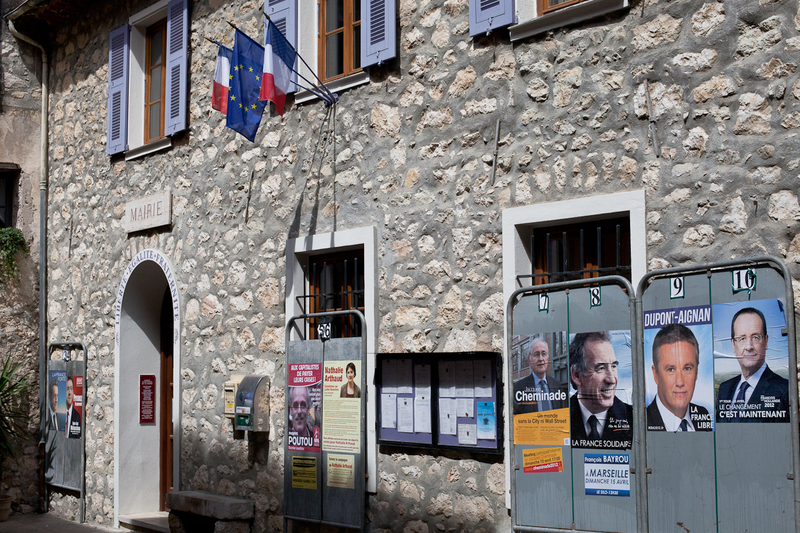 Polling in the medieval village of Gorbio took place at the Mairie. For anyone that doesn't know the French system, there were 10 candidates, including current President Nicolas Sarkozy. His main rival is François Hollande. Yesterday though, was the first round of voting. Only if a candidate receives over 50% of the vote, and I don't think it has ever happened, would yesterday's vote be decisive. In fact, the top two candidates now go head to head in a second ballot in two weeks time. They are Nicolas Sarkozy and François Hollande. Hier, la France est alléé aux urnes pour élir un nouveau Président. Le scrutin au village médiéval de Gorbio se déroulait à la mairie. Pour tous ceux qui ne connaissent pas le système français, il y avait 10 candidats, y compris le président actuel, Nicolas Sarkozy. Son principal rival est François Hollande. Hier cependant, c'était le premier tour de scrutin. Ce n'est que si un candidat reçoit plus de 50% des voix, et je ne pense pas que cela ait déjà eu lieu, que le vote d'hier serait décisif. En fait, les deux premiers candidats en tête iront au second tour de scrutin dans deux semaines. Ce sont Nicolas Sarkozy et François Hollande. Will be interesting to see who comes out on top hey Jilly. I like the special screens for campaign posters. No place for yard signs in midieval villages, I guess. In the U.S., we are not allowed to have posters, signs or leaflets so close to the voting place. Karen, here it's the opposite. Every candidate must have a poster outside the voting place - that seems logical to give the voters a fair choice. I was amazed in America to see individuals with signs in their garden or window showing the candidate they supported. I guess the difference in a country's traditions is what makes life so fascinating! Sarkozy doesn't appear in your photo - is that a sign? 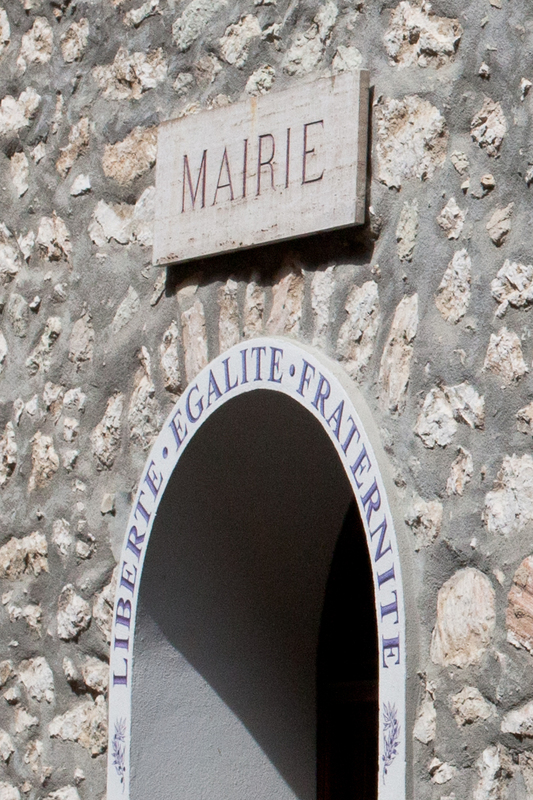 I thought that at first, Nathalie, but in fact he is in the photo far left - to the left of the Mairie's entrance. i like the short campaign season. and i also like the idea of "no signs in front yards" but most of all i love your images of Gorbio's ancient stones juxtaposed against the relatively rapid rise and fall of political figures.